Select some evenly spaced points on a sphere. Run Delaunay Triangulation on those points. Generate Voronoi regions on those points. Assign elevation with 3D Simplex noise, similar to mapgen4's elevation with 2D Simplex noise. Construct rivers the same way mapgen4 does it. Render all of this on a sphere. The core map algorithms in mapgen4 run on a dual mesh, which means they are not restricted to run on a flat grid. I am optimistic that most of them will run on a sphere. The main exception is wind+rain, which I'll either drop or adapt. The rendering algorithms in mapgen4 won't run easily on a sphere. 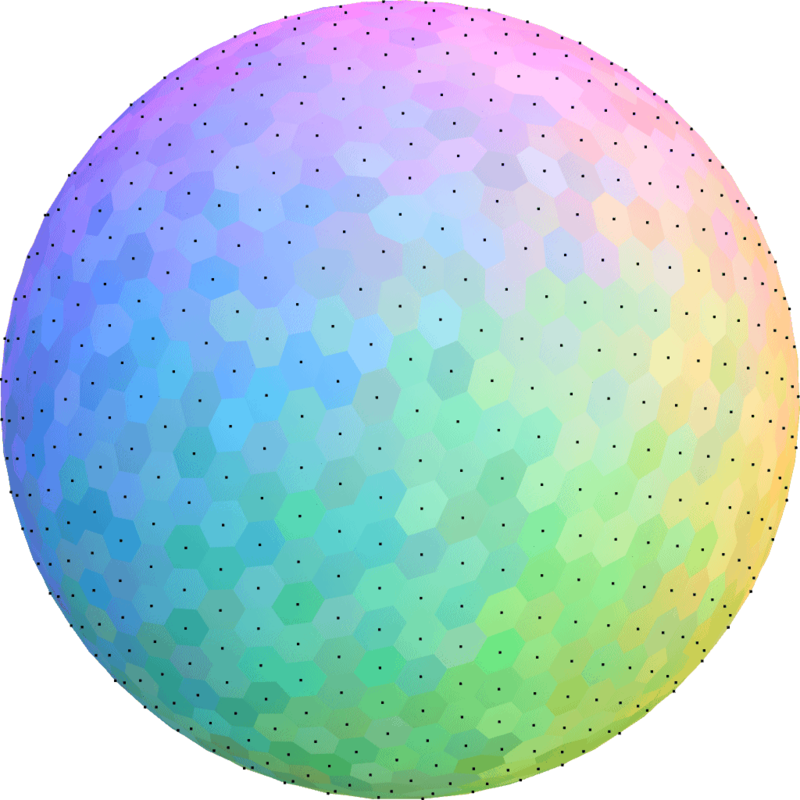 The oblique projection is designed to match hand drawn paper maps; the outlines work by rendering a flat map to a texture, and probably won't work on a sphere. That's ok. It's a one week miniproject to try something different, and I will be happy if I get half of it working. I spent the first two days on steps 1–3, and wrote up my notes, including an interactive demo and some links to papers and other reading. The next seven days were part 2. After I finish this miniproject I'll get back to debugging mapgen4.